Does your smile need a little help due to cavities or chipped/broken teeth? Let Dr. Jorgenson talk to you about your treatment options. 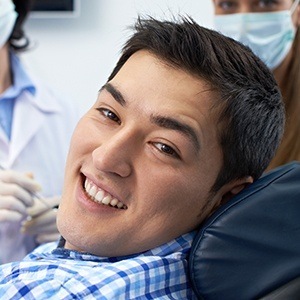 As your oral health partners, we can create a customized treatment plan that fully addresses your specific situation by using the latest techniques and most advanced materials available today. Whether you just need to restore a single tooth or have more comprehensive needs, we have the services that can help. To start getting your smile back, contact us today to schedule an appointment. Why Choose Advanced Dental Care for Restorative Dentistry? Tooth-colored fillings enable us to make minor cavities practically disappear. 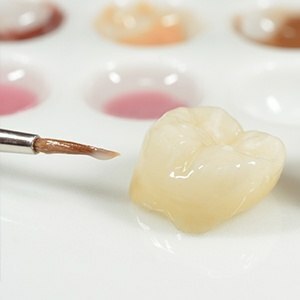 We’ll apply a composite resin to your tooth that is specially shaded to match the surrounding enamel, and in the end, the only people who will know it’s there will be you and your dentist. These fillings are 100% mercury-free, and they are also less invasive compared to traditional amalgam fillings, meaning they enable us to preserve more healthy enamel during their placement. Dental crowns are one of the most reliable solutions when it comes to repairing severely decayed and damaged teeth. Made of porcelain and/or metal, crowns are designed to look, feel, and function just like natural teeth. They simply fit over the top of a compromised tooth to protect the remaining structure while also restoring its appearance and function. Every crown is personally designed by our dentists for each patient, and the process to get one only takes two easy appointments. 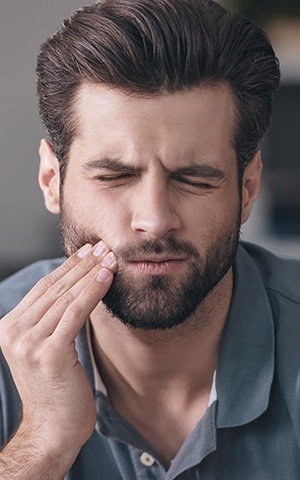 Oral surgery is often necessary if a patient has experienced physical trauma in which a tooth has been damaged beyond the point of repair and needs to be removed. Fortunately, our team has the specialty training to perform these kinds of procedures in-house, so patients don’t have to visit an outside specialist. We can also provide all procedures related to dental implant placement in-house so patients can replace their missing teeth and rebuild their smiles in one convenient location. Do you want to know which restorative services are right for you? Call our Costa Mesa dental office to reserve an appointment with Dr. Jorgenson. We are happy to serve patients from Irvine, Newport Beach, Huntington Beach, and beyond.